Lord and Miller are planning to kill off humanity again—but for kids! 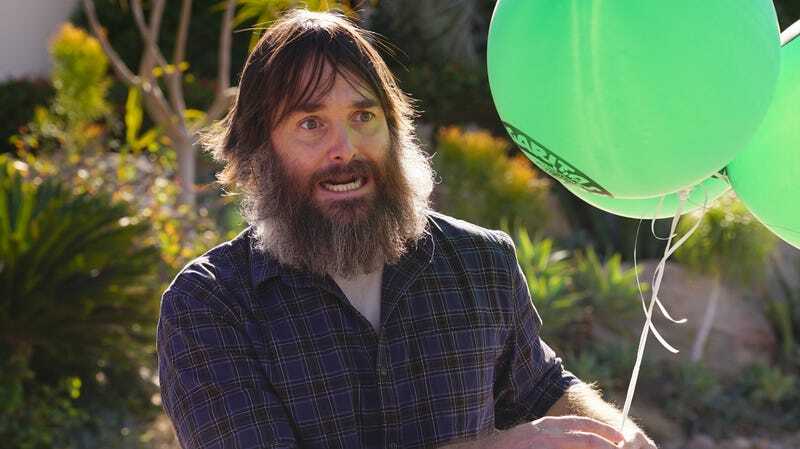 Will Forte in Last Man On Earth, executive produced by Phil Lord and Christopher Miller. Folks, we’re starting to wonder if Phil Lord and Christopher Miller even like the human race. The Spider-Verse producers—whose other success stories include The Lego Movie, 21 Jump Street, Clone High, and all those other things you like—have put together a whole bunch of world-ending scenarios over the years, from Last Man On Earth’s super-virus, to the wastelands of The Lego Movie 2, to a reality in which the sky is cloudy with a chance of meatballs and/or death. Now, THR reports that Lord and Miller—fresh off a Golden Globe win for Spider-Man, and the opening of the latest Lego—have become the subject of a competitive bidding war for their new project, The Last Human. Based off a kids’ book by Lee Bacon, the film would tell the tale of XR_395, a “12-year-old robot” who ends up stumbling onto a living human being, despite the fact that the species is supposed to be, uh, extinct in the film’s robot-controlled world, which also exists “without crime, pollution, or war.” (Like we said: Bleak.) The pair end up going on a journey together, learning some lessons about rule-breaking and prejudice in the process. Lord and Miller haven’t directed a movie to completion since 2014's 22 Jump Street; since then, they’ve stuck to writing and producing, plus that whole unfortunate Solo debacle. They’re also supposedly on the hook to direct Artemis, a 2020 adaptation of a book from The Martian’s Andy Weir.